In the last few years, the explosion of powerful Mobile devices combined with their capable operation systems has resulted in a Mobile computing wave that is promising to redefine how we use portable computing devices. Fact is most day-to-day Web 2.0 activities like Social Media updates have moved to mobile platforms in a big way. As a result of this new wave, Application development targeting mobile platforms is increasingly become the primary targets instead of being add-ons to existing web/mobile presence. With current device capabilities mobile applications can vary in features, ranging from personal applications like managing SMS/Text, Contacts, Notes, Mails, etc. to Line of Business (LOB) applications like Banking, Financial Management, Order Management etc. The jQuery Mobile framework provides out of the box UI layouts and components required to build Responsive Mobile Applications. In this article, we will go through some basic features of jQuery Mobile. You can find more information regarding jQuery Mobile from here. The jQuery Mobile framework by default makes use of HTML 5 data- attributes. These attributes are used for mark-up based initialization and configuration of tags. You can get additional information of these attributes from here. Along with data attribute, jQuery Mobile have provided out of box styles which are used for creating tables with number of columns. E.g. ui-grid-a represent table with two columns, like wise we have ui-grid-b for three columns, ui-grid-c for four columns, etc. Here the columns are defined using styles. E.g. for two columns blocks are ui-block-a and ui-block-b. In this small application, we will make use of jQuery, jQuery Mobile and Web API to design a simple Order creation application. To implement Data Storage, we use a SQL Server database name called jQMOrderDB. The Schema Definition scripts are in JQMOrderEntities.edmx.sql. You can update the jQMOrderDBEntities connection string if required and run the above SQL to generate the schema for testing. 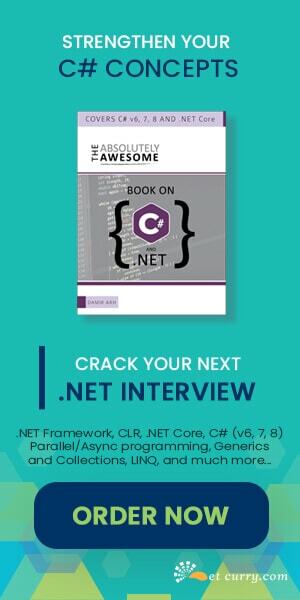 Step1: Open Visual Studio 2012 and create a new ASP.NET MVC 4 application, name it as ‘MVC4_MobileApp’. Select the Mobile Application from the project Template. In this project, add the latest release for jQuery and jQuery Mobile Scripts using NuGet Package. This will also provide the necessary styles for the mobile application. Step 2: To create a Model layer, in this project, add a new ADO.NET EF EDMX file, name it as ‘JQMOrderEntities’. Complete the Wizard, select the jQMOrderDB database and Product and Order tables. You will get Product and Order entities. Step 3: In the Controller folder, add API Controllers for Product and Order based upon the Entity Framework. This will provide class files with ready code for perform CRUD operations. Step 4: In the controller folder, add a new Empty Controller of the name ApplicationController. This will provide Index Action method. Right click in this method and add an Empty View. You will get an Index.cshtml. In the above mark-up, the select is set with the attribute data-native-menu. This is used for styling the list according to the jQuery Mobile conventions. The value data-native-menu=true will use the style as per the browser on the device. The value data-native-menu=false will set the styling as per mobile conventions. The top level <grid> is applied with style as ui-grid-a. This means that table with two columns will be created. These columns are represented by ui-block-a and ui-block-b. On the button, the attribute data-icon=plus will add an icon like + on the button. The attribute data-inline=true will manage the width of the button to fix the size of value attribute. The nice part here is that, the HTML 5 attributes and JQuery Mobile styles manage the look and feel of the design with minimal effort. In the above script, the loadproducts function makes an ajax call to the WEB API and populates the product names in the <select> lstproductname. The function getproductdetails will get executed when the end-user selects product name from the product name list. This function uses another AJAX call to get the product details. The method saveorder here saves the order by calling the corresponding WEB API. This call returns the Order object with the OrderId. Step 10: Click create to complete the Order creation process. You’ll notice the Order Id gets populated automatically. 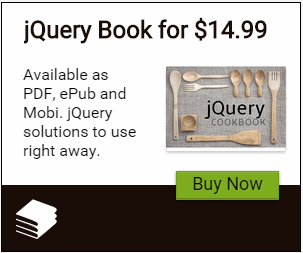 The jQuery Mobile Framework provides an easy to use starting point to get started with targeting Mobile applications using ASP.NET MVC and Web API. I am not getting how to add APIController....that is in the Controller folder, add API Controllers for Product and Order based upon the Entity Framework. This will provide class files with ready code for perform CRUD operations....what it means actually? ?